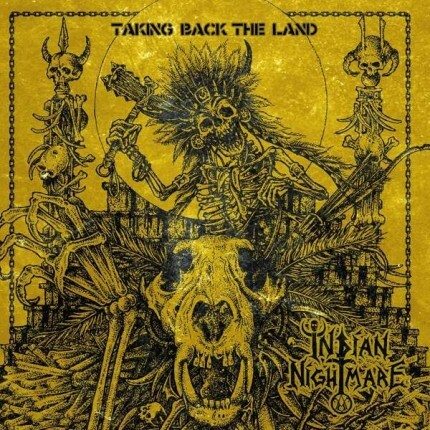 Related links to "Indian Nightmare - Take Back The Land LP"
This Berlin based band with members from all of the globe (Mexico, Indonesia, Italy and Turkey) plays killer metal punk with strong Heavy Metal Influences, definitely different from the actual lame "whiskey-rock'n'roll-Venom/"-clones!!! This is Metal Punk! ...the traditional, the aggressive, the epic and powerful way!!!! Comes on traditional black vinyl incl. special inside-out cover, insert, sticker, and poster!